Sandals Foundation - Inspiring Hope Through Community, Education & Environmental Projects Across The Caribbean Region - Caribbean & Co.
One of the more positive things that have happened since hurricanes Maria and Irma passed through the Caribbean region last year is the increased awareness for charitable organizations in the travel sector supporting the Caribbean region! These philanthropic organizations include the Sandals Foundation, the charity arm of Sandals Resorts International which recently celebrated nine years of operation. Focusing on community, education and environmental projects, the Sandals Foundation was set up in March 2009 to expand on the charitable work that was being undertaken by Sandals Resorts International since it opened its first all-inclusive hotel in Jamaica circa 1981. Sandals Resorts International now has five hotel brands and 24 properties in seven countries across the Caribbean region including Antigua, The Bahamas, Grenada, Barbados, Jamaica, Saint Lucia and Turks and Caicos. The hotel brands include Sandals Resorts, Beaches Resorts, Grand Pineapple Beach Resorts, Fowl Cay Resort and Your Jamaican Villas. While most of the projects that the Sandals Foundation undertakes are on the seven Caribbean islands where Sandals Resorts International has hotel properties, they also support the recovery efforts on other islands after major natural disasters. 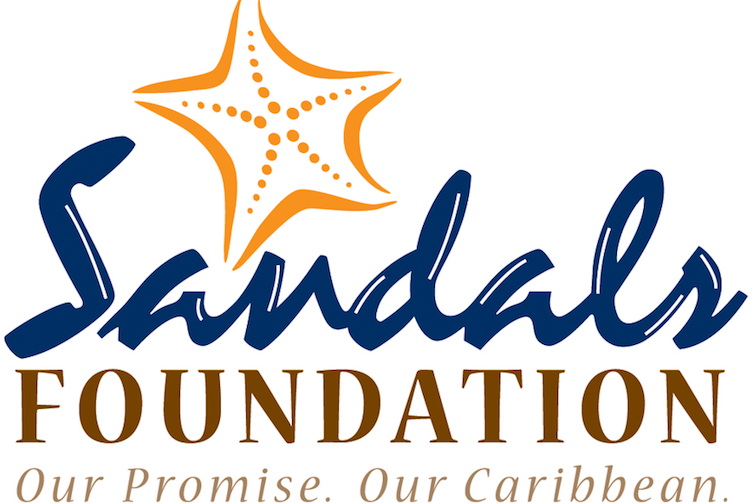 In total, Sandals Foundation has made contributions of US$45 million to various community, education and environmental projects which have impacted well over 700,000 lives across the Caribbean region. The Sandals Foundation projects are supported by in-kind and cash donations from corporations and hotel guests with the guarantee that 100% of the donations go directly into projects benefiting Caribbean communities. Thus cost associated with the administration and management of Sandals Foundation projects are paid for by Sandals Resorts International. 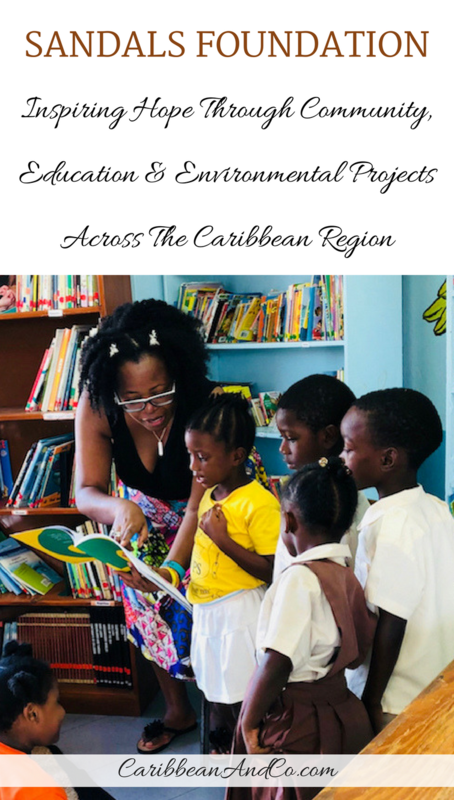 Hotel guests at the 24 Sandals Resorts International properties can sponsor a child’s education through the Sandals Foundation scholarship program or make a general monetary contribution that will be put towards one of the communities, education or environmental projects. Through a partnership with Pack For A Purpose, hotel guests can also contribute to the Sandals Foundation efforts by packing and bringing up to five pounds of school supplies for local communities. Guests can also participate in one more of the voluntourism projects which varies by resort. One voluntourism opportunity that is at the majority of Sandals Resorts International hotel properties, is the Scholastic Reading Road Trip which is a volunteer literacy program aimed at improving the listening, reading and comprehension skills of local children between the ages of fives and seven. And I had the chance to participate in this program during my recent stay at Sandals Grande Antigua Resort & Spa. 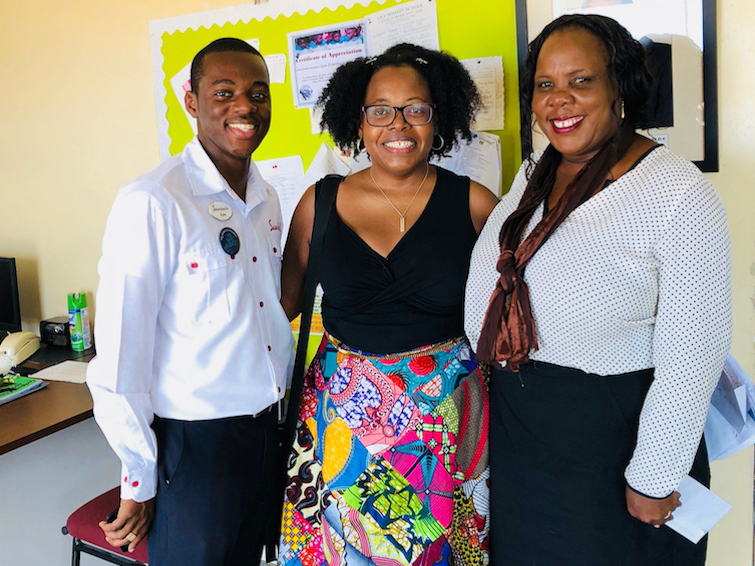 One of the partner schools for the Sandals Foundation in Antigua is the Villa Primary School which has about 300 students from kindergarten to grades six making it one of the larger primary schools in Antigua. And it was at the Villa Primary School that I got to volunteer via the Scholastic Reading Road Trip program. I brought along four books as a donation to the library and read the two for younger students. I started by reading Izzy Gizmo in a somewhat animated manner, and then many of the children took turns reading out sections of If I Had A Dinosaur with me to the rest of the class. The children were attentive and extremely engaged which made for a truly rewarding experience. 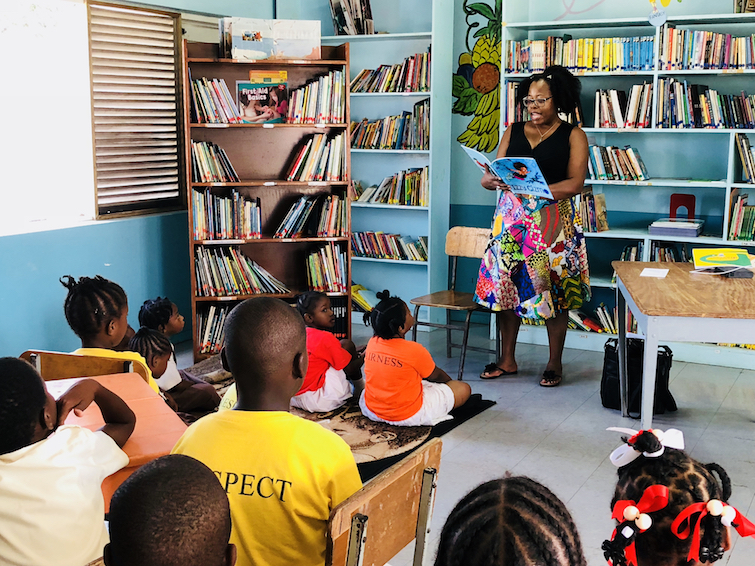 Thus I would highly recommend the Scholastic Reading Road Trip to guests staying at all Sandals Resorts, Beaches Resorts, and Grand Pineapple Beach Resort. In fact, I look forward to doing this excursion on my visit to all Sandals Resorts International hotel properties. The two-hour educational excursion is drastically different from most of the other activities and is an excellent opportunity to help students improve their reading skills for a nominal, tax-deductible donation. 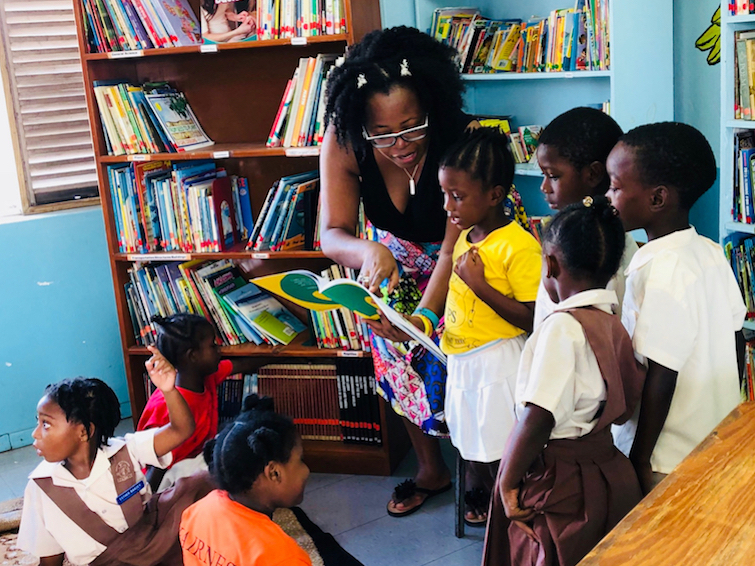 Beyond helping students improve their reading skills through the Scholastic Reading Road Trip program which was quite rewarding, below are some of the other recent activities by the Sandals Foundation in Antigua. * Planted 200 trees at the park surrounding the national cricket stadium as part of Earth Day 2016 activities.